Here is a sneak peek at some brand new products you will see at my Open House next Friday and Saturday. They are from the Close To My Heart Spring/Summer 2014 Idea Book. The card uses the new Ivy Lane paper pack. The colors are beautiful and include 2 new shades of cardstock - Ivy Lane Green and Ivy Lane Purple. The card also uses the February Stamp of the Month - Wild About Love. It is a set of nine stamps including 4 fox stamps, 3 sayings and 3 accents. 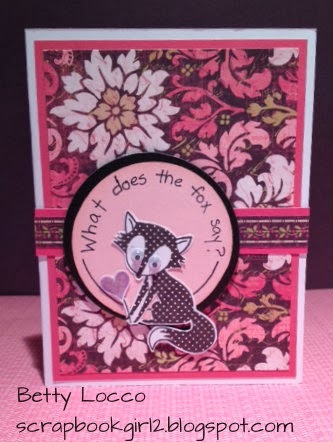 In the set, the fox is holding a flower, but I stamped the heart and added it to the stem instead of the flower. He had googly eyes too! Here is the inside of the card. 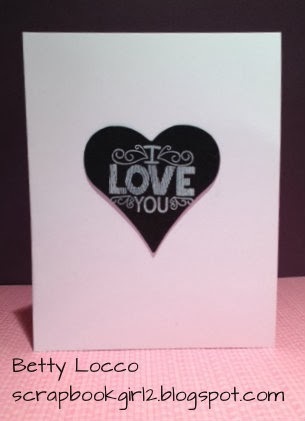 It uses one of the sayings in the set stamped in White Daisy Pigment Ink on a black heart. including New Picture My Life Scrapbook Program. Looking forward to seeing you next weekend!